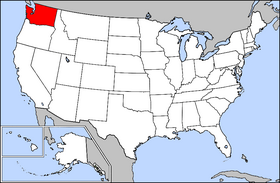 Trout Lake is a census-designated place (CDP) in Klickitat County, Washington, United States. The population was 557 at the 2010 census. The town is notable for its organic dairy and herb farms, and as an access point to Mount Adams and the Gifford Pinchot National Forest. Brule is a town in Douglas County, Wisconsin, United States. The population was 591 at the 2000 census. The town takes its name from the nearby Bois Brule River, which flows north into Lake Superior. The census-designated place of Brule and unincorporated communities of Bellwood, Waino, and Winneboujou are located in the town of Brule. Rotorua is a city on the southern shores of Lake Rotorua from which the city takes its name, located in the Bay of Plenty Region of New Zealand's North Island. It is the seat of the Rotorua District, a territorial authority encompassing Rotorua and several other nearby towns. The majority of the Rotorua District is in the Bay of Plenty Region, but a sizeable southern section and a small western section are in the Waikato Region. Rotorua is in the heart of the North Island, 60 kilometres south of Tauranga, 80 km (50 mi) north of Taupo, 105 km (65 mi) east of Hamilton, and 230 km (140 mi) southeast of the nation's most populous city, Auckland. Turangi is a small town on the west bank of the Tongariro River, 50 kilometres south-west of Taupo on the North Island Volcanic Plateau of New Zealand. It was built to accommodate the workers associated with the Tongariro hydro-electric power development project and their families. 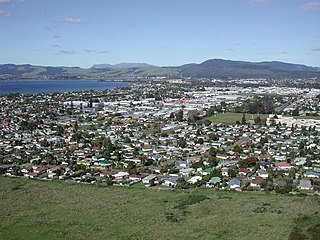 The town was designed to remain as a small servicing centre for the exotic forest plantations south of Lake Taupo and for tourists. It is well known for its trout fishing and calls itself "The trout fishing capital of the world". The major Māori hapu (tribe) of the Turangi area is Ngāti Tūrangitukua. The Salt Lake City School District (SLCSD) is the oldest public school district in Utah. Boundaries for the district are identical to the city limits for Salt Lake City. Employing about 1,300 teachers who instruct about 25,000 students K-12, the district is the ninth largest in the state, as of 2009, behind Granite, Davis, Alpine, Jordan, Canyons, Weber, Nebo, and Washington. Two of the district's high schools, East and West, are over 100 years old. 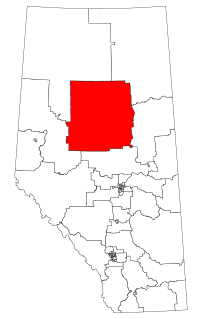 Lesser Slave Lake is a provincial electoral district for the Legislative Assembly of Alberta, Canada. It has existed since 1971 and is mandated to return a single member using the first past the post method of voting. Seven Lakes High School (SLHS) is a public senior high school located in Fort Bend County, Texas, United States, inside the Cinco Ranch area south of the city of Katy. Many communities such as Seven Meadows, Grand Lakes, and Cinco Ranch are zoned to the school. While the school has a Katy address, it is within the extraterritorial jurisdiction of Houston, and is a high school of the Katy Independent School District (KISD). Cary-Grove High School is a high school in Cary, Illinois, USA; it is part of Community High School District 155. In 1995, it was the subject of much media attention after the Fox River Grove level crossing accident that killed seven students. In 2006, on the anniversary of the accident, another Cary-Grove student, Justin Glassmyer, was killed at the same crossing. Issaquah School District No. 411 is a public school district in King County, Washington, USA, serving the city of Issaquah as well as portions of Sammamish, Renton, Bellevue, and Newcastle. The Woodcliff Lake Public Schools is a community public school district that serves students in pre-kindergarten through eighth grade from Woodcliff Lake, in Bergen County, New Jersey, United States. Silver Lake Regional High School is a public, regional high school in Massachusetts' South Shore region. It is the only secondary school in the Silver Lake Regional School District, comprising the towns of Kingston, Plympton and Halifax, Massachusetts. From 1955 to 2004, the Silver Lake Regional School District included the town of Pembroke, Massachusetts. The Franklin Lakes Public Schools are a community public school district serving students in pre-kindergarten through eighth grade from Franklin Lakes, in Bergen County, New Jersey, United States. Wapekeka First Nation is a First Nation band government in the Canadian province of Ontario. An Oji-Cree community in the Kenora District, the community is located approximately 450 kilometres northeast of Sioux Lookout. In January, 2008, the total registered population was 375, of which the on-reserve population was 355. The Washington Interscholastic Activities Association (WIAA) is the governing body of athletics and activities for secondary education schools in the state of Washington. As of February 2011, the private, 501(c)(3) nonprofit organization consists of nearly 800 member high schools and middle/junior high schools, both public and private. In Anchorage, Alaska, Sand Lake is the area surrounding Sand Lake, a stocked lake in the southwest part of the city. It is south of the Ted Stevens International Airport and Lake Spenard. The lake itself is located at 61°09′05″N149°57′58″W and has a surface area of 78 acres (320,000 m2). It is one of the few big-city lakes in the world with common and Pacific loon populations. Its shores are mostly privately owned, but a small park to the northeast allows public access. Kayakers, fishermen, picnickers and birdwatchers frequent the area. Pembroke High School, is a public secondary school located on 80 Learning Lane in Pembroke, Massachusetts. Ganderbal is a newly formed district of the state of Jammu and Kashmir of India. It has 6 tehsils Ganderbal tehsil, Tullamulla, Wakoora, Laar, Kangan and Gund. Aweres is a local services board in the Canadian province of Ontario. Located in the Algoma District, it encompasses and provides services to most of the geographic township of Aweres, including the communities of Island Lake and Heyden. Trout Creek is a small farming unincorporated community, in far western Juab County, Utah, United States. Tintic School District is a school district located in western Juab County, Utah, United States. This Washington (state) school-related article is a stub. You can help Wikipedia by expanding it.